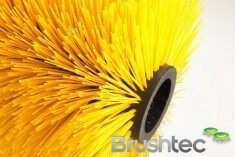 You are here: Home » We are always looking for novel uses of brushes…but! 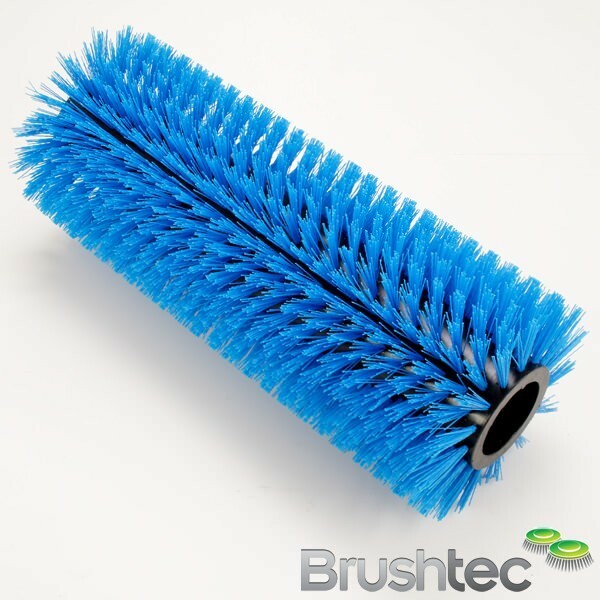 We are always looking for novel uses of brushes…but this one is maybe too extreme. 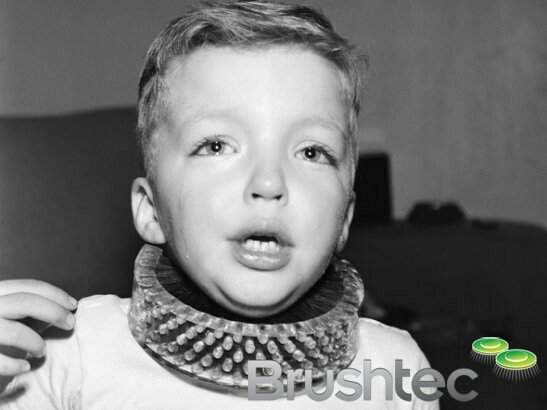 Five-year-old Tim Gregory wears, under protest, a brush that cleans a child’s neck without the use of soap and water in Los Angeles, Calif., Jan. 12, 1950. The plastic collar brush will dry-clean the youngster’s neck thoroughly as he plays. 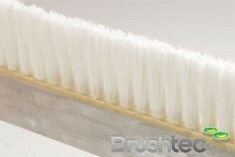 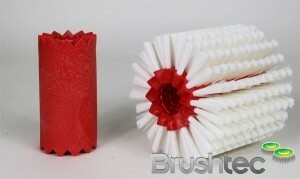 The brush was developed by the Los Angeles Brush Corp. at a mother’s suggestion.